St. Patrick’s Day is a special occasion celebrated around the world. From Australia to the US, St. Patrick’s Day brings together people from all different cultures in the spirit of Irish traditions. The St. Patrick’s Day parade has become one of the most popular events in places like Sydney and Melbourne. It’s steeped in a rich history that remains true to the meaning of this holiday for its most devout participants. But who was St. Patrick? And how did he come to symbolise such a beloved holiday? Here we’ll shed some light on the history of St. Patrick’s Day, and its place in cultures worldwide. Saint Patrick is the patron saint of Ireland, and is renowned for introducing Christianity to the nation in the face of the pagan practices that occurred in his day. The serpent was the symbol commonly worshiped by pagan cultures, and as a result St. Patrick is considered the person who symbolically drove out the snakes from the country. The shamrock is another common symbol associated with St. Patrick. He used this flower as a representation of the Holy Trinity. The three leaves symbolise the three parts becoming one. His followers all wore shamrocks to his services. The shamrock has since become Ireland’s national flower. St. Patrick’s Day is a national holiday in many countries. Every year on March 17 many businesses close, while pubs and restaurants cater to those celebrating the tradition. In addition to the festivities, many devout attend mass, as St. Patrick’s Day is also the day to honour and pray for the world’s missionaries. 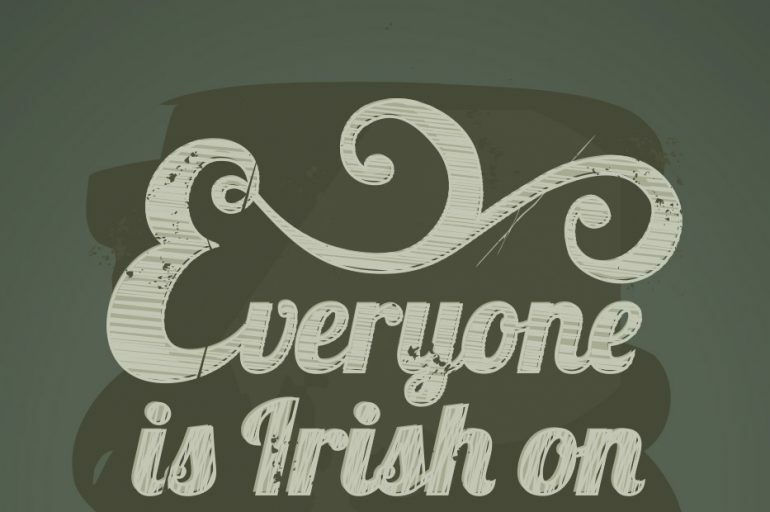 The largest celebrations occur in cities that have a significant population of Irish people. Irish food, music and activities are common, and people wear the colour green in honour of the Irish tradition. Spirits and green beer have become staples in St. Patrick’s Day celebrations. Traditional Irish food such as lamb stew and corned beef are paired with Irish soda bread to give participants a real taste of Irish culture. Other foods typically eaten in Ireland on St. Patrick’s Day include roast chicken and pink bacon. But celebrating St. Patrick’s Day isn’t limited to the Irish. Entire communities that are diverse in their cultures join in the festivities each year. The spiritual traditions of St. Patrick’s Day combine with today’s celebrations to create a unique event that culminates in an annual parade held in cities all over the world. Historically in Australia, Melbourne’s parade served as a political event put on by Catholics who wanted to show their allegiance to the nation during wartime. The parade, which was overseen by Archbishop Daniel Mannix, demonstrated the people’s support of independence for Ireland. Today, parades like the one held in Sydney are some of the largest held anywhere in the world. Sydney’s St. Patrick’s Day Parade has over 80,000 Irish participants, making it one of the biggest celebrations and puts it firmly alongside those held in Dublin, Boston, and New York. Sydney’s parade receives funding and support from the government of Ireland, allowing participants to share in the cultural traditions and heritage of the Irish people. Volunteers help organise it each year with activities that include raising funds and marketing the event. In Queensland, many businesses in the Brisbane area take part by sponsoring the annual Irish Festival and the Brisbane St. Patrick’s Day Parade. This ensures that the celebration continues to grow every year and that the tradition remains a part of the local culture. St. Patrick’s Day is a rich tradition that represents the culture and history of Ireland. St. Patrick introduced Christianity to Ireland, marking a turning point for the country’s future. The holiday now ensures that Irish and non-Irish people around the world can celebrate the traditions, food, and culture of the country of Ireland.